A car passes by rickshaws at Bentendori, Yokohama, Kanagawa Prefecture. 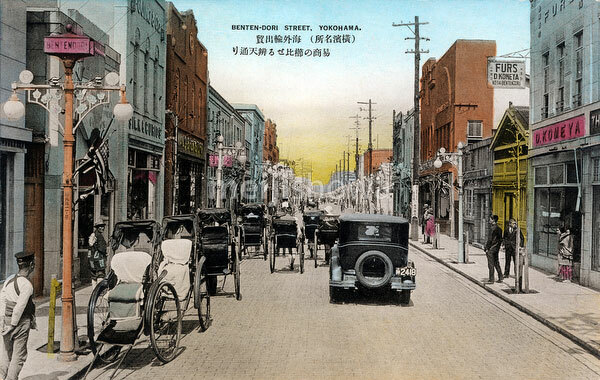 During the Meiji Period (1868-1912), this was Yokohama’s premier shopping street. This photo dates from after the Great Kanto Earthquake (Kanto Daishinsai) of 1923 (Taisho 12).